Royal Greens is the new project launched by Crescent ParC in the heart of the city Gurgaon. The project boosts of the perfect lifestyle and elegance. The strategic location of the Sector 92, Gurgaon. is another benefit of the Project. Advantageously located at the location of Sector 92, Gurgaon, the project is well connected to major sectors of the city. Being very close to umpteen renowned educational institutes, commercial hub and healthcare facilities, the project is the much sought property. Focusing on the rapidly expanding residential real estate segment, SARE is developing mammoth canvas project across India, until date, it has acquired over 800 acres of land in some of the steadily emerging cities of India: Gurgaon, Ghaziabad, Amritsar, Chennai, Indor. After the success of Crescent Royal Greens ParC Ghaziabad, SARE, Royal Greens a globally reputed real estate company arrives at Gurgaon to provide a blissful lifestyle experience, without burning hole in one’s pocket. The ideal haven built by the finest minds around the globe, its offers everything that you ever desired and more. With a perfect blend of nature, state-of-the-art amenities, convenient location and unmatched luxury, Crescent ParC aims to revolutionize real estate in Gurgaon like never before. 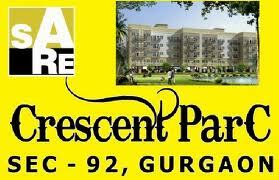 Crescent ParC is a leading real estate company that has been established to satiate the increasing construction needs. 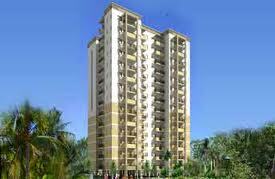 The company is all set to achieve a pinnacle position in the Indian Real Estate. The Business House has a team of innovative minds and professionals that work hard to bring life to the masterpieces that are best in the market and are the trendsetters. With innovative engineering, great architecture, and amazing finish, every project of the company is class definer. The company is moving ahead with the mission of complete customer satisfaction, quality construction and providing worth to your hard earned money.